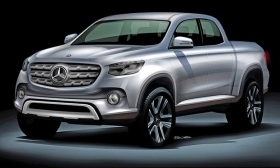 The Mercedes pickup will share some of the underpinnings with the Nissan NP300. FRANKFURT (Reuters) -- Daimler AG will expand its cooperation with strategic partner Nissan to develop a midsize pickup for Mercedes-Benz. The new Mercedes-Benz pickup will target commercial and private clients and will share some of the underpinnings with an all-new Nissan NP300 truck, Daimler and Nissan said in a joint statement. "Entering the rapidly growing segment of midsize pickups is an important step in continuing our global growth path," Daimler CEO Dieter Zetsche said. "Thanks to our well-established partnership with the Renault-Nissan Alliance, we are able to drastically reduce the time and cost to enter this key segment." Late last month Mercedes announced it will build a midsize pickup for customers outside North America, entering a new vehicle category that has been dominated by lower-priced brands. Mercedes, Nissan and Renault have shared engines, plants and vehicle underpinnings for small cars since an alliance was struck between the carmakers in 2010. Since then, collaboration has expanded from three common vehicle projects to 13. The Mercedes pickup truck will be built by Nissan in Cordoba, Argentina, along with the Nissan NP300 and a Renault-branded truck for Latin America, Daimler said. The three trucks will also be built in the Nissan plant in Barcelona, Spain, for other markets, excluding North America. Production of the trucks at the two plants will start by the end of the decade, the companies said. Mercedes-Benz's U.S. sales arm is studying whether to sell a version of the proposed Mercedes pickup, Steve Cannon, head of the Mercedes-Benz USA said last week at the New York auto show. "It wouldn't come until, at the earliest, the '18, '19 time frame," he said. "We've got time to look at the market and decide." Pickups have gained popularity in recent months as gasoline prices eased. Last year, three of the four top-selling cars in the United States were full-sized pickups, the Ford F-150, the Chevrolet Silverado and Ram 1500. The segment has been moving upmarket, creating an opening for a premium brand, Daimler said. 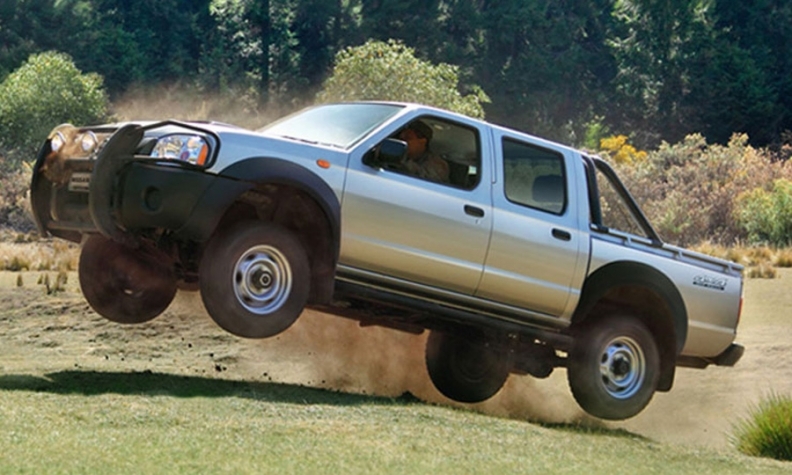 A recent study by Truecar.com found 25 percent of Ford pickups sell for $50,000 or more.